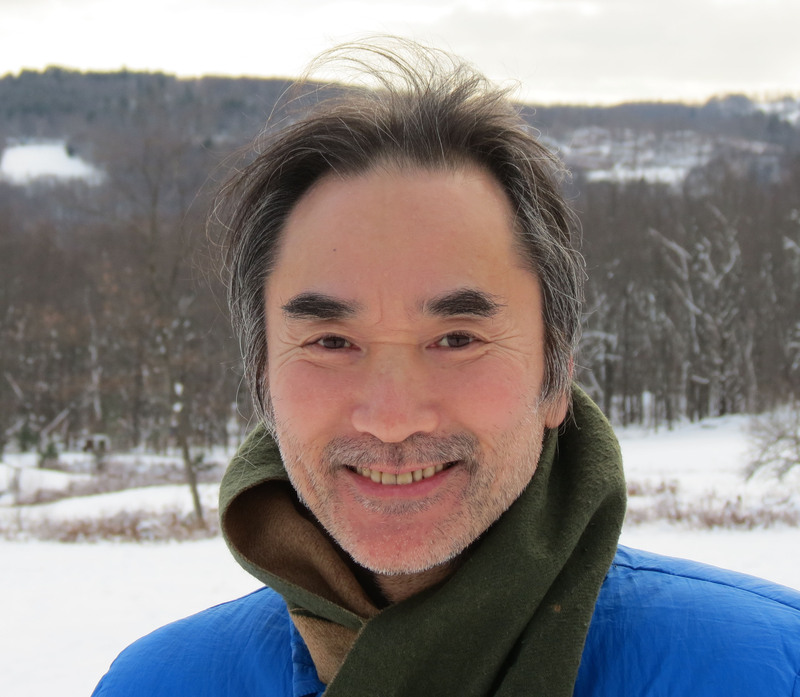 Akira Kawaguchi is a professor, currently serving Department Chair. He received his B.S. and M.S. degrees in Administration Engineering from Keio University in Yokohama Japan, and M.S., M.Phil, and Ph.D degrees in Computer Science from Columbia University. Prior to his academic career, Professor Kawaguchi worked for Mitsubishi Heavy Industries, Ltd as an assistant manager in its Tokyo presidential office. He then acquired Mitsubishi's two-year fellowship for his graduate studies in the U.S. He left Japan with one-way ticket, devoted to the forefront of database research, and developed lifelong collaborations with researchers in Columbia, Bell Labs, IBM Research, and various Japanese industries. Since September 1997, he has been a faculty member of the Department of Computer Science at the City College of New York and the CUNY Graduate Center. Professor Kawaguchi has been recognized as one of a small and invaluable class of scholars with the ability to build an intellectual bridge between the U.S. and Far East countries. Ph.D. in Computer Science, Columbia University, New York, NY. M.S. in Computer Science, Columbia University. M.S. in Administration Engineering, Keio University, Yokohama, Japan. B.S. in Administration Engineering, Keio University. Information Architectures: System Analysis & Design, Object-Oriented Design & Software Engineering, Introduction to Software Engineering. Database and Transaction Processing systems: Advanced Database Systems, Database Systems, Database Management, Introduction to Database Systems. Programming Principles: Advanced C++ Programming, Internet Programming, Software Design Laboratories, Data Structures, Introduction to Computing. Basic Theories: Discrete Math, Algorithms. Engineered Network Paradigm: investigating areas in the context of engineered networks: 1) alignment of logical networks with physical substrates, 2) network vulnerability, and 3) security. The alignment issue is quite challenging as a theoretical question, so we would concentrate on developing acceptable heuristic solutions such as we have proposed in the hypercube case. Network vulnerability would be approached from the perspective of potential attacks that threaten to break a network into several isolated components – we proposes to attack this problem by elaborating a sound and practical definition of vulnerability introduced in our previous work. The security part of the research would focus on variations of network coding that can take advantage of known independent paths in an engineered network. In principle this offers an alternative to encryption that has the advantage of using far less bandwidth. Distributed Query Optimization: examines the problem of join query optimization in a Dynamic Distributed Federated Database and the role that network topology, specifically an engineered hypercube, could play in the cost estimation. Considering that many nodes in this environment may rely on batteries and wireless radios, we would like to minimize network information transfer to maximize network availability and lifetime. While in any topology it may be assumed a querying node can estimate distance to data sources, in an unknown topology, the querying node has no knowledge of intersite distances. In a hypercube, these distances can be easily calculated at the querying node based on the sites' labels. What is more, query optimization in the past has not fully taken account of the topology of networks as a cost factor in executing joins. We are conducting a quantitative evaluation of distributed query performance that takes account of network topology. Data-warehouse and Decision Support: emphases on data quality investigation and enhancement of decision support. Involved in interdisciplinary research work with civil engineering, biomedical engineering, and biology for the development of specialized data-warehouses such as deterioration rate analysis for NYS bridge data elements, asset inventory and internal inspection ratings for NYC water pipe maintenance, wireless biometric data collection capabilities for diabetes care, and easy retrieval of genes whose expression is altered by parasitoid infections. The most recent work spans into mathematical characterizations of database errors and the effect of error propagation in decision support as well as integration of operations research tools into decision making. A new subject in more traditional side, entitled distributed query processing on hypercube network, is also in progress. Information Retrieval: examines a real-time measure of bias in Web search engines. The measure introduced in this research is designed to capture the degree to which the distribution of URLs, retrieved in response to a query, deviates from an ideal or fair distribution for that query. Wider dissemination of the bias concept appeared in the September 2002's issue of the Communications of ACM with the introduction of statistical analysis to measure the bias difference. The March 2002 issue of SearchEnigneWatch.com "Are search engines biased?" also cited this work. Our most recent work highlights differences between bias and classical retrieval measures and gathers additional results of experiments examining the influence on bias measurement of subject domains, search engines, and search terms. The bias concept and computation method have become a core part of a NASA funded project in 2004 to develop a system designed to improve aerospace safety by accurately identifying human factors contributing to mishaps. Navigation Control Systems: aims to establish a proactive means to prevent marine accidents by using the full potential of the standardized GPS-based Automatic Identification System. The system envisioned will provide adequate decision-making support for group shipping, especially during critical maneuvering in restricted areas such as channel passing and harbor approaches. A decade-long research collaboration with the Tokyo University of Marine Science and Technology examined a computation model suitable to capture the dynamics of this kind of group-based navigation and extended the model to incorporate kinematics that will characterize movement of various type of vessels, which in turn enabled us to analyze a more realistic cluster behavior model. The recent work is to gather more comprehensive analysis and additional performance measures such as width and height of the group, frequency of direction changes, etc. A study of control systems in the realm of mobile wheelchairs is also in progress. Wireless Biometric Application Development: gathers a detailed account of the methodology and technical issues needed to realize a wireless-capable diabetes information management system for practical use. Implementation techniques and key issues for PDA data management are discussed in various articles, including an approach for wireless biometric data management to meet today's security challenges and comply with HIPAA regulations and service-level management system architecture specifications for wireless biometric systems. These are based on an open distributed processing reference model based method. All of the lessons from this work were gathered into a chapter of book entitled Handbook of Wireless Local Area Networks: Applications, Technology, Security, and Standards published from CRC press in 2005. Y. Morita, Y. Ogawa, T. Imamura, A. Kawaguchi, T. Miyoshi, and K. Terashima, Design Method for Multilateral Tele-Control to Realize Shared Haptic Mouse and Its Application to Intercontinental Game, To appear in Interaction 2014 Symposium, Tokyo Japan, February 2014. A. Kawaguchi, A. Mowshowitz, A. Nagel, A. Toce, G. Bent, P. Stone, and P. Dantressangle, A Model of Query Performance in Dynamic Distributed Federated Databases Taking Account of Network Topology, In Annual Conference of International Technology Alliance in Network and Information Science (ACITA2012), Southampton, U.K., September 2012. Presentation accompanied by Demo: Efficient Data Joins in Gaian Database – Utilizing Hypercube Labeled Networks, P. Stone, A. Kawaguchi, A. Mowshowitz, and G. Bent. M. Lee, A. Mondal, C. Small, I. Paddibhatla, A. Kawaguchi, and S. Govind, A Database for the Analysis of Immunity Genes in Drosophila: PADMA Database, Fly, Landes Bioscience Journal, Volume 5, Issue 2, pp. 155-161, April/May/June 2011. R. Shoji, T. Furuya, A. Kawaguchi, and M. Inaishi, Ship Dominance Region in Route, Japan Institute of Navigation, Vol. 123, pp. 7-12, October 2010. A. Agrawal, A. Kawaguchi, and Z. Chen, Deterioration Rates of Typical Bridge Elements in New York, Journal of Bridge Engineering, Volume 15, Issue 4, pp. 419-429, July/August 2010, doi:10.1061/(ASCE)BE.1943-5592.0000123. A. Kawaguchi, M. Inaishi, H. Kondo, and M. Kondo, Towards the Development of Intelligent Navigation Support Systems for Group Shipping and Global Marine Traffic Control, IET Intelligent Transport Systems (invited), Volume 3, Issue 3, September 2009, pp.257-267; doi:10.1049/iet-its.2008.0080. Preliminary version appeared as Towards the Development of Intelligent Navigation Support Systems for Group Shipping and Global Marine Traffic Control, In the 10th International Conference on Applications of Advanced Technologies in Transportation (AATT2008), Athene, Greece, May 2008.